Learning to ride a motorcycle from scratch can be difficult for some new riders, and to obtain a motorcycle drivers license can be challenging in many ways. This is why Superbike-Coach has developed the ‘Basic Rider’ course, so that we can help brand new riders learn the required skills for taking their riding test. Sometimes, new riders are rejected or kicked out of motorcycle training programs if they are not already showing some skills. 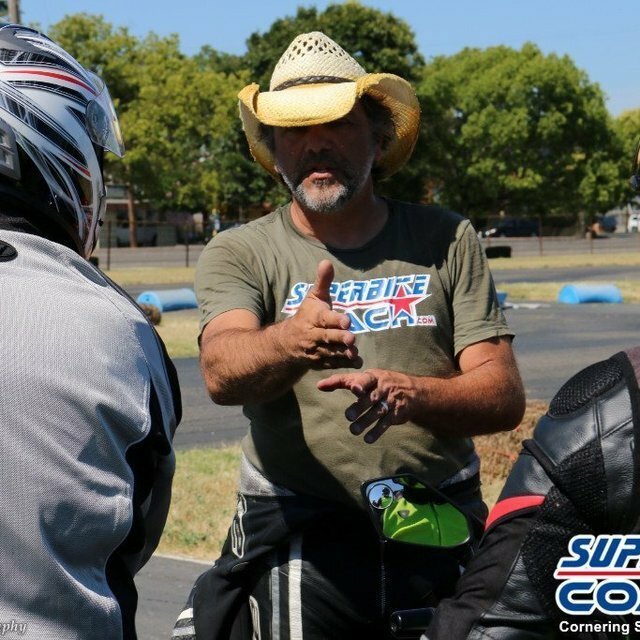 Superbike-Coach is committed to teaching you with knowledge and patience how to ride a motorcycle from scratch and get you on the right path towards your license. Superbike-Coach can dial you in for this- We teach you how to ride a motorcycle and get you on the right path to get it done. Why taking any risks to be left out of a license application school? We teach the Basic Rider course in private sessions, or to a small group of up to three riders. It is your choice whether you want to come train at our facility in Stockton, or learn on your familiar home grounds. The training usually starts out with a short introduction to the motorcycle and its controls, especially if you opt for the rental bike. Then we introduce you step-by-step to fundamental techniques, including starting, stopping, shifting, braking, slow speed maneuvers, and counter-steering to get around those corners. The course includes training in all the skills you need to sign up for your DMV riding license test. For this highly individualized course, we charge by the hour. This is because we want to give you the time you need, and that time varies for different riders. Typically, for a brand new rider, this can range from 1 to 6 hours. If we come to your place, there is an additional travel charge. So, how much is it gonna cost you? The hourly charge is $50 dollars, and the travel charge is about $8/hour and 0.50 cents per mile. You’ll find this is a pretty good deal! Many beginning riders don’t own a motorcycle before they have obtained their M1 drivers license. Renting our small pool bike is a great option, and the rental bike fee is a flat $50, no matter for how many hours you’ve booked. Optional damage insurance is available for $40. If all you need is a final boost, we can specifically help you towards succeeding at your key hole test. Get trained by a professional and be prepared when you meet your examiner. NEED A RENTAL BIKE?! We can help you out. Rent one of our small pool bikes. The fee is $50, and an optional insurance of about $40. Just opt it in the booking process.